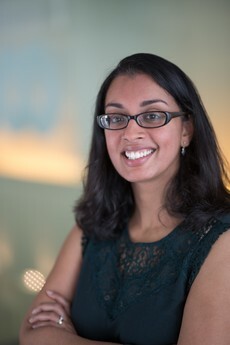 Aditi P. Sen is a health economist and assistant professor in the Department of Health Policy and Management at the Johns Hopkins Bloomberg School of Public Health. Her research addresses the potential of innovative payment and delivery models, as well as insurance design, to improve the quality and value of health care. Specifically, she is interested in how varying financial, behavioral, and organizational incentives impact provider behaviors, including the “disadoption” of low-value services, prescription of high-price drugs, and provision of mental health services. In addition, her research seeks to apply insights from behavioral economics to understand provider and consumer behavior. From 2015-16, she was a Health and Aging Policy Fellow in the Office of the Assistant Secretary for Planning and Evaluation at the U.S. Department of Health and Human Services. She also served for a year on the staff of the White House's Council of Economic Advisers. Dr. Sen received her B.A. from Yale University and her Ph.D. in health economics from the Wharton School of the University of Pennsylvania. Sen, A.P. and DeLeire, T. How Does Expansion of Public Health Insurance Affect Risk Pools and Premiums in the Market for Private Health Insurance? Evidence from Medicaid and the Affordable Care Act Marketplaces. Health Economics, forthcoming. Bai, G., Sen, A.P., and Anderson, G. (2018). Pharmaceutical Benefit Managers, Brand-Name Drug Prices, and Patient Cost Sharing. Annals of Internal Medicine, 168(4). Sen, A.P., Chen, L.M., Cox, D., and Epstein, A.M. (2017). Most Marketplace Plans Included At Least 25 Percent of Local-Area Physicians, but Enrollment Disparities Remained. Health Affairs, 36(9): 1615-1623. Navathe, A.S., Sen, A.P., Rosenthal, M.B., Ubel, P.A., Emanuel, E.J., and Volpp, K.G. (2016). New Strategies for Aligning Physicians with Health System Incentives. American Journal of Managed Care, 22(9): 610-612.